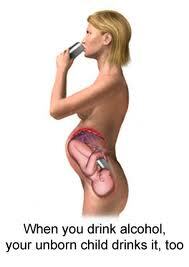 When a pregnant woman drinks alcohol, the alcohol passes through the blood stream, crosses the placenta and enters the baby’s blood stream. Therefore it is extremely important that you monitor your intake especially during preconception and early pregnancy as the alcohol can disrupt the baby’s normal development in the womb. It can also cause problems with the baby’s health at birth and make the baby susceptible to illnesses in infancy, childhood, adolescence and adult life. It may also cause learning difficulties. This is usually when 6 or more units of alcohol are consumed daily. If a woman consumes 2 units per day then the baby may suffer from a milder form of Fetal Alcohol Syndrome called Fetal Alcohol Spectrum disorder. If the woman reduces her consumption of alcohol during her pregnancy to a safe level, then the symptoms of Fetal Alcohol Spectrum disorder can be reversed unlike those symptoms caused in Fetal Alcohol Syndrome. 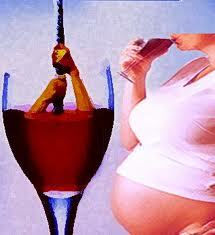 So what are the safe levels of alcohol consumption during pregnancy? Experts are still unsure exactly how much alcohol is safe to drink during pregnancy. Based on the evidence to date , The Royal College of Obstetricians and Gynaecologists (RCOG) recommends that the only way to be absolutely certain that your baby is not harmed by alcohol is not to drink at all during pregnancy or while you are trying to conceive. If you do choose to drink during pregnancy you should not drink more than one or two units and not more than once or twice a week and avoid binge drinking. (more than five units of alcohol on any one occasion). Make sure your glasses aren’t full and use a smaller glass with soft drinks in between. Guidance from the National Institute for Health and Clinical Excellence (NICE) state that women should not drink at all in the first 3 months of pregnancy and ideally should remain alcohol free until after the birth. Bearing in mind that alcohol should be kept to a minimum if breastfeeding! If you do drink heavily, it is important to seek advice from your midwife or GP as stopping suddenly may cause you to experience symptoms of withdrawal such as delirium tremens (DT’s). You will therefore receive help to manage any side effects.